Mr. Selfish and I had heard horror stories about haggis, so we knew that we had to try it. 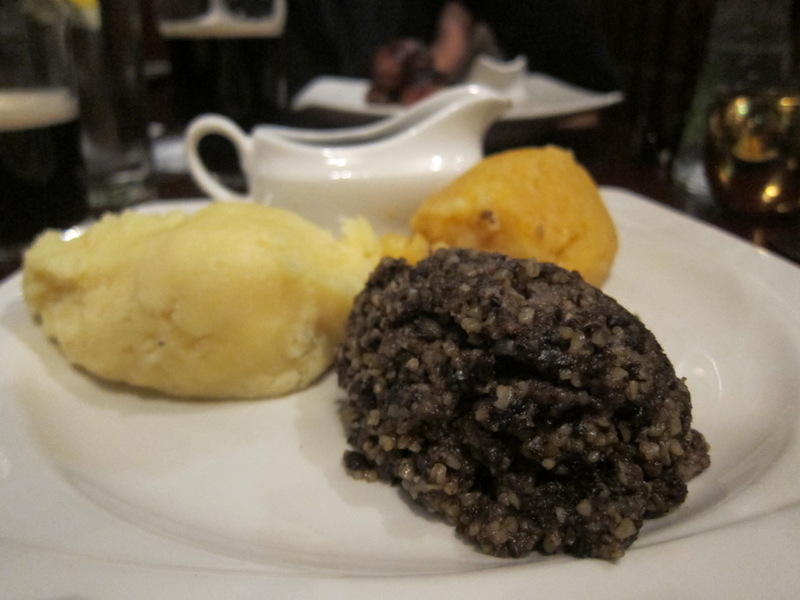 Haggis is the national dish of Scotland. It is prepared from sheep’s parts (heart, liver and lungs) and minced with onion, oatmeal, suet, spices, and salt. Although traditionally it is encased in the animal’s stomach, it is now typically encased in sausage casing. 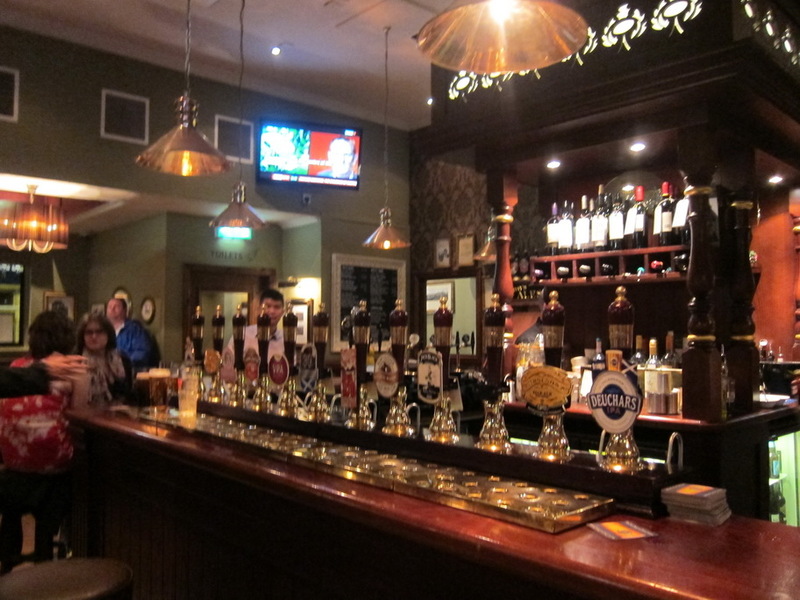 We first tried Haggis at Nicholson’s, a traditional Scottish pub, located in Haymarket. 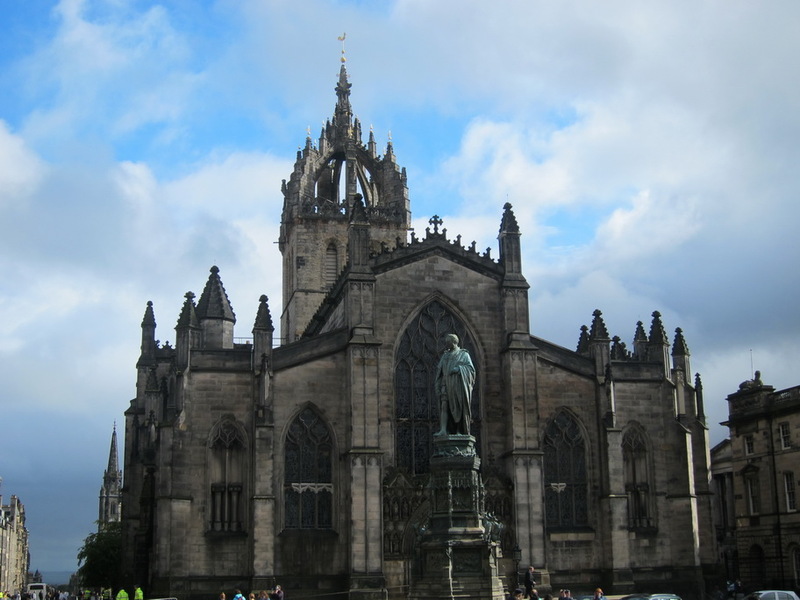 It was served traditionally here – with neeps and tatties (mashed turnip and potatoes). It was quite yummy. 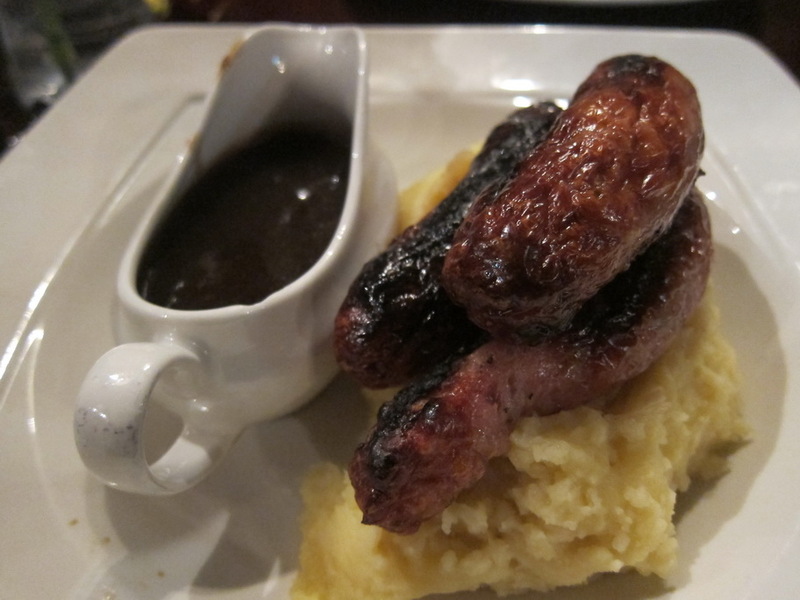 We also got the sausage and mash in case we didn’t like the haggis. Fortunately, we enjoyed both. 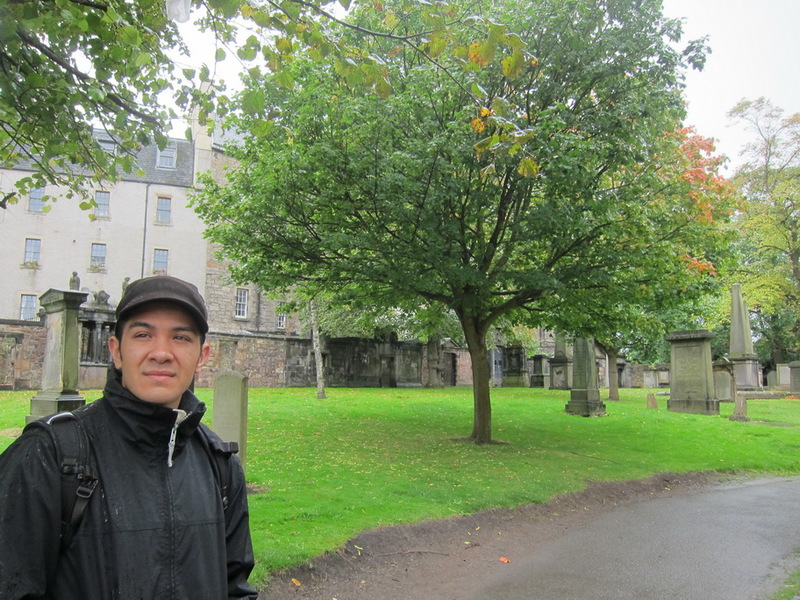 Mr. Selfish and I did a self-guided walking tour of Edinburgh. 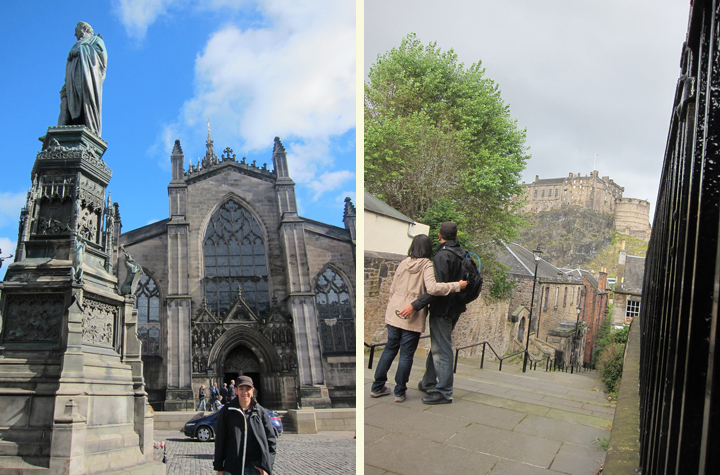 We started at the Royal Mile, which is a picturesque shopping street. 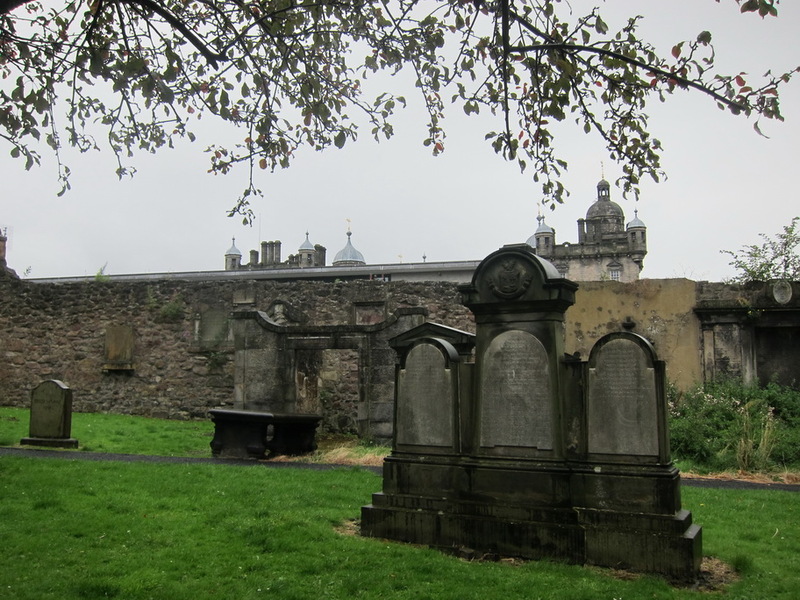 Then, we visited St. Giles Cathedral and walked toward the Greyfriars Kirkyard, which is an old graveyard. 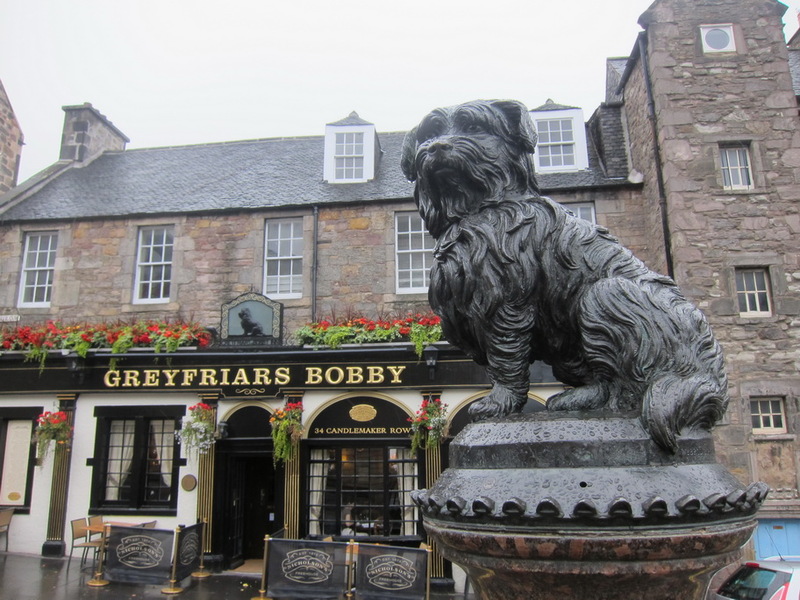 We also passed the statue of Greyfriars Bobby, which is a loyal dog who famously guarded his master’s grave for 13 years. 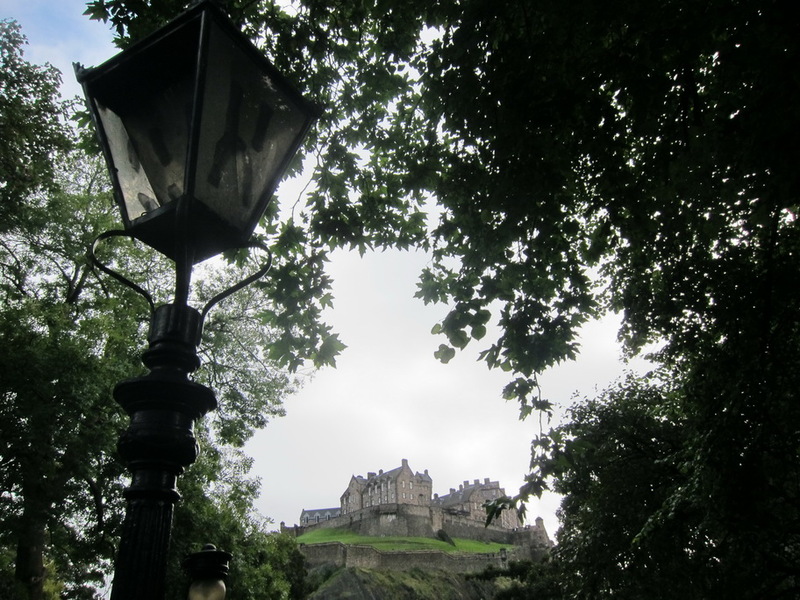 Mr. Selfish and I spent a short two days in Edinburgh, Scotland. 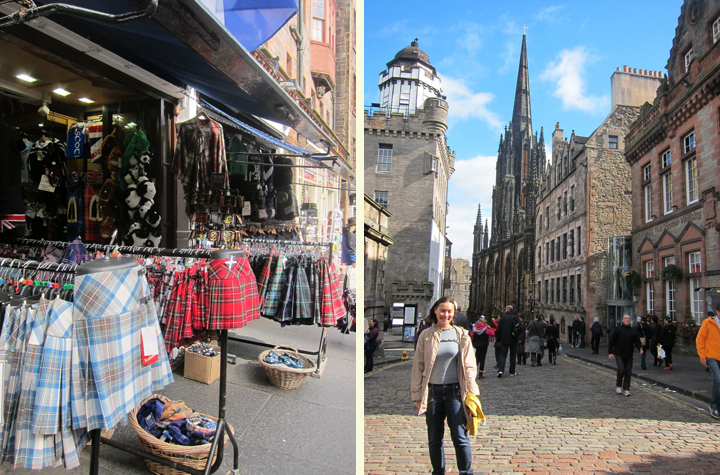 It was a lovely city, and the Scottish are quite friendly! 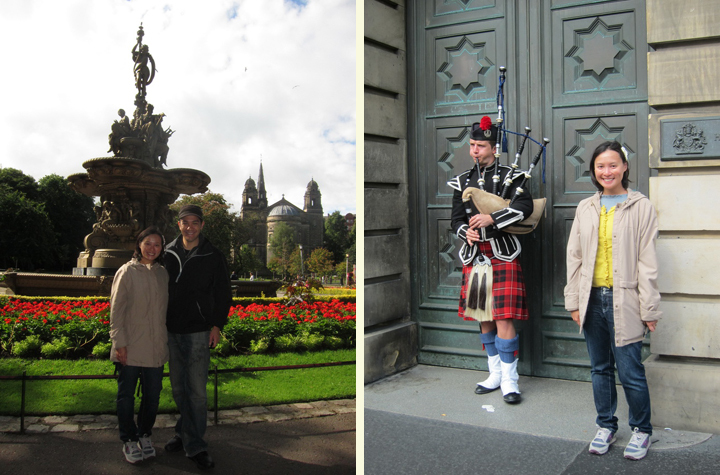 We enjoyed our short stay immensely and vow to return to tour the Highlands. 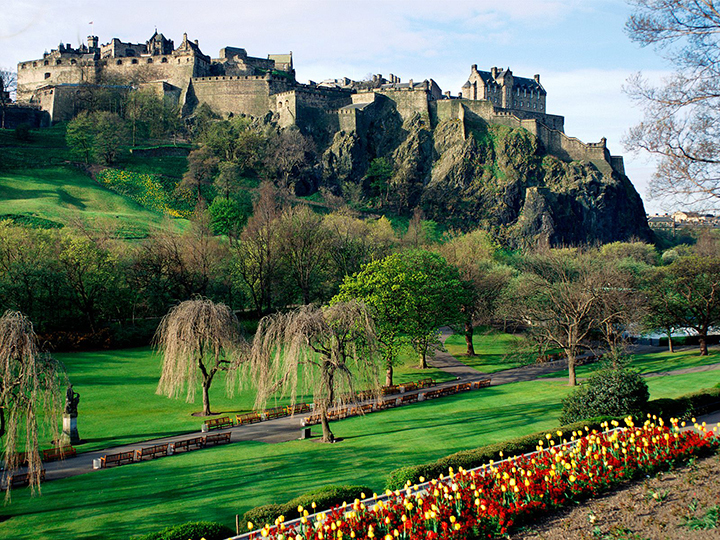 We started at Edinburgh Castle. 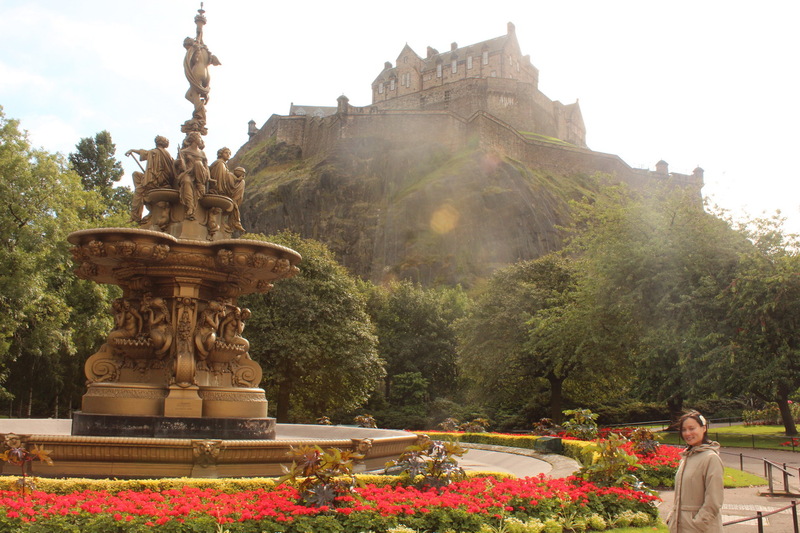 You can walk in the gardens and enjoy the views from afar, which are lovely.